According to a new report from the Parker Fitzgerald Group, a business management consultancy, the capital’s fintech sector is strong and could be the financial services industry’s saving grace. The UK’s economy has surpassed expectations after the referendum vote in 2016. Some maintain the view that London will still be Europe’s financial capital. In order to remain at a competitive advantage, London must stay apace in terms of its innovation, adaptation and change as a financial technology focal point. Technology will be the main driver of evolution in the world of financial services, overruling the effects of Brexit and regulation. Maintaining a forward-looking stance will be important, as businesses focus on dangers, such as cybersecurity, data privacy and digital conduct. Economic adviser, Dr Gerard Lyons, believes that London is in an ideal position to address all of these risks, thanks to the prominence of the English language, system of laws in place, timezone and existing professional services ecosystem. The UK has proven to be a magnet for major technology companies even after the referendum. Facebook’s new London offices will open 800 jobs, and start a new scheme to nurture technology startups in the UK, named LDN-LAB. Google’s 92,000 m2 office building could see construction commencing in 2018, housing 7000 employees in King’s Cross, promising sustainability through bike-parking, solar panels and more. This all signifies a vote of confidence for the UK after all of the Brexit uncertainty. In addition, many businesses are evolving to the new world of technology, with 65% of UK firms using fintech applications to help run the business. The research, done by MarketInvoice, indicates that companies that have adopted at least one example of fintech have saved £5,500 annually as a result. 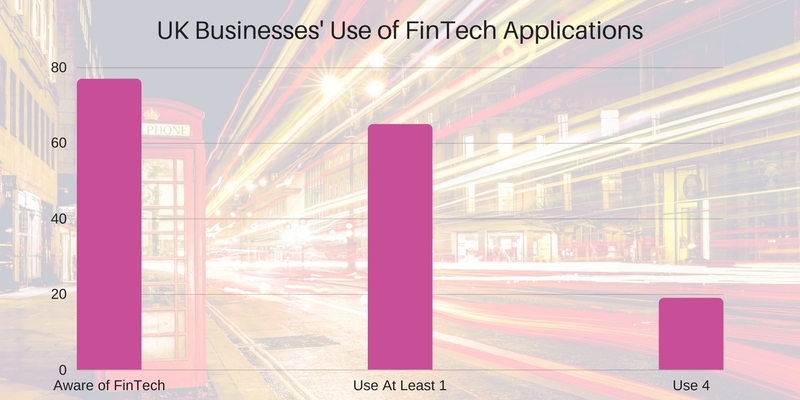 Nearly 20% use four fintech applications. Interestingly enough, nearly a third used fintech firms for online lending or financing. Lyons believes that London has a key advantage: the capital is somewhere people actively seek to do business in. Homegrown is an online crowdfunding platform that connects experienced small to medium sized developers with financing from everyday investors. Find out more information by signing up or simply email one of our friendly team members at info@homegrown.co.uk.